@zx81 Yeah, I had that message there as well. It should be ok, though. Refresh your Home screen (apps scope ) by dragging down and the Android apps should appear on the screen, or reboot. @mariogrip any information on what we Flo users would need to do to get it running, or do we still need the mainline kernel to be up and running under Halium properly first (I'm down to experiment!!)? I can attempt to whip up a custom kernel as long as I know what patches I'm applying to it! Kinda hoping it would be similar to arale and need the anbox drivers compiled in. @mihael I installed Whatsapp sucessfully, but when I open it it tells me that the time is wrong. I've adjusted the time in "Settings", but Whatsapp keeps telling me the same, and doesn't go further. Anybody knows how to pass this "Date is incorrect" screen? @mihael Turns out I had installed an old version of Whatsapp, I installed the current one and now it opens OK.
Can I somehow change the package name that appears in that list, and if so, would that satisfy the app looking for it when trying to install? 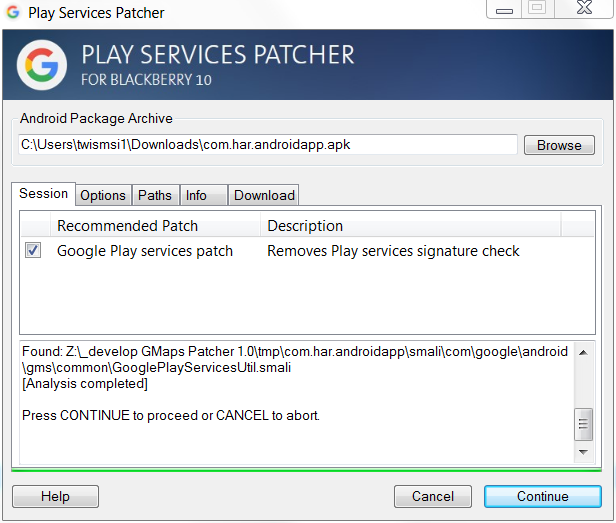 @tomoqv No you can not change package name Android reads this out of the manifest file that is into the apk when installing, when you change this the app will never work again. So I wonder if there is any google package that carries the name com.google.android.maps? @tomoqv As far as I know this is the name of a Java library (extension .jar), but I have no idea how libraries are installed in Android, and less in anbox. @wgarcia It seems to me that many android apps just add the google dependencies by habit, without really needing it. I am looking for a way to trick those apps.